Posted by shwaldman in Movies. NetFlix Synopsis: In accordance with Jewish custom, four siblings gather to sit shivah after their father’s death but are soon bickering and renewing old grudges. Brought together for the first time in years, the quarrelsome brood is in for a week long emotional duel. I wasn’t sure what to expect from this one. 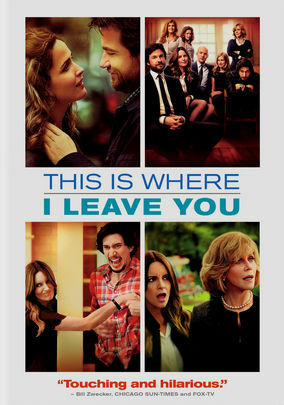 Jason Bateman and Kristin Wiig carry the cast of a mishmash cast in a complex story about a dysfunctional family. It is the story of complex love between siblings and with their own spouses. Jane Fonda plays the crazy mother of 3 brothers and a sister. The acting is solid and the interactions felt true and touching. But it made life seem so much more complicated and left many open questions. It left me feeling like it is easy to love and take care of a home. It felt like Hollywood scripting trying to depict “small town life.” They threw so many cliché situations into the mix that it made my head spin keeping track. All that being said, it was entertaining and captured my attention to see what was going to happen next. But I would not go out of my way to recommend this one.